Longford has been revealed as the least popular county for overseas tourists in a Fáilte Ireland report. However, in the wake of the launch of the Ireland's Hidden Heartlands tourism brand and marketing campaign, and with the exciting €233m Center Parcs Longford Forest holiday village set to open in 2019, tourism chiefs nationally and locally, will be hoping that Longford becomes a significantly more popular destination for overseas tourists in the near future. The figures show that 24,000 overseas visitors (a decrease of 1,000 on the previous year) came to Longford as part of their trip in 2017, generating €10 million for the local economy. 130,000 homegrown trips were made to counties Longford and Roscommon in the same period, generating estimated revenue of €18 million for the economy of both counties. 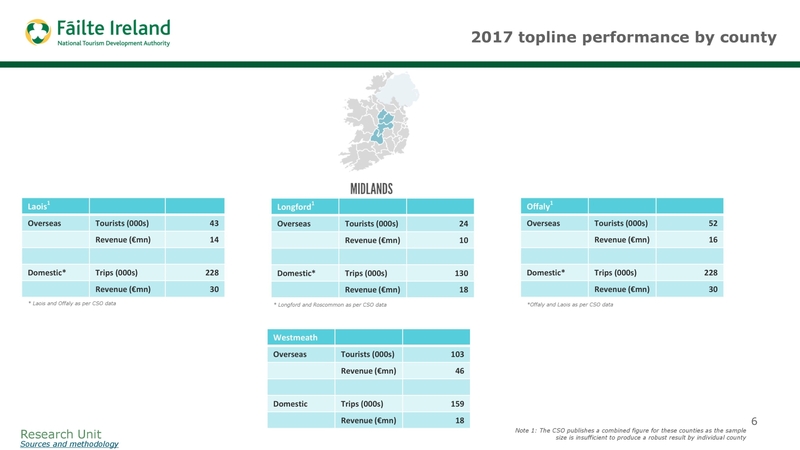 The Midlands (Longford, Laois, Offaly and Westmeath) was the least visited region in the country in 2017 with just 218,000 overseas tourists (spending €85 million), down from 226,000 the year before. 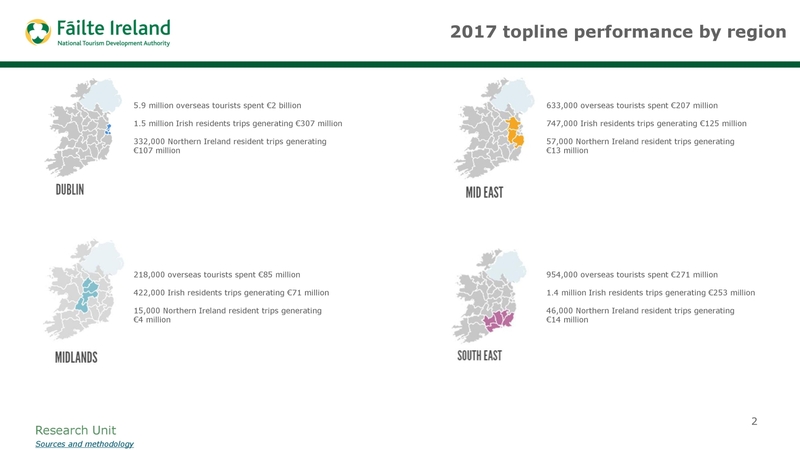 There were 422,000 Irish residents trips to the Midlands in 2017 generating €71 million and 15,000 Northern Ireland resident trips generating €4 million. Dublin still enjoys the largest share of the tourism pot with 5.9 million overseas visited making their way to the capital, spending a whopping €2 billion. Galway, Cork and Kerry enjoy over one million overseas visitors a year, while counties like Clare also performed very well in the figures which were produced using a Fáilte Ireland survey of 10,000 overseas travellers and data provided by the Central Statistics Office and the Northern Ireland Statistics and Research Agency.